Phantasm Magazine is a bimonthly print/digital publication featuring fantasy and cosplay themes. As the name implies, our magazine is all about the imagination. Follow us on Facebook. 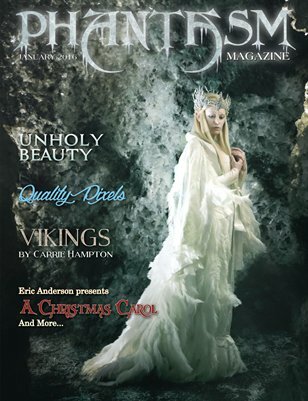 This is a special winter fantasy/cosplay theme issue featuring beautiful work from multiple talented photographers and artists.